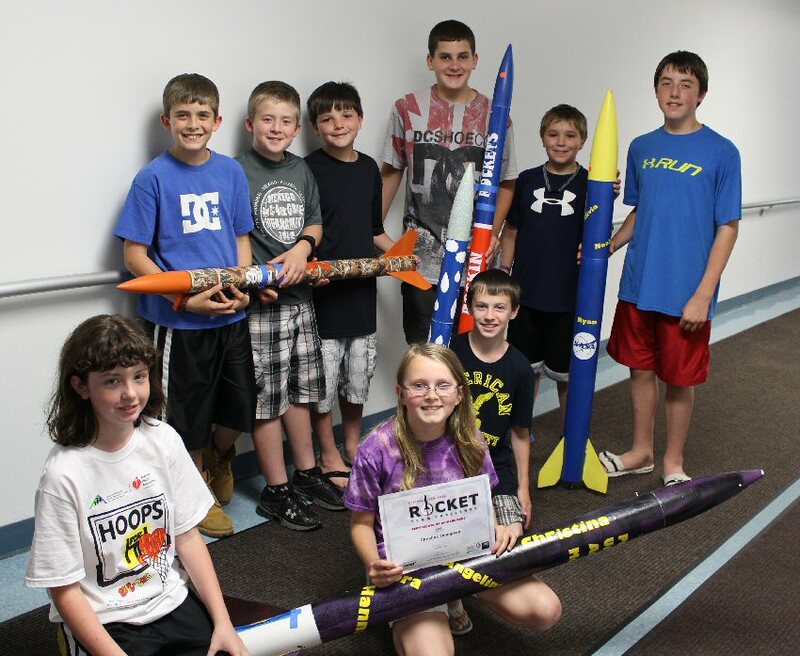 HANNIBAL, NY – Fifth and sixth grade students from Kenney Middle School attended Wednesday night’s board of education meeting in Hannibal to show off the rockets they made for 2013 Rocket Challenge at Syracuse University on June 1. The Rocket Club members show off the products of their hard work. Front left to right: Hannah Shortslef, Christina Thompson, Noah Kuc. Back Left to Right: Ryan Whitcomb, Joey Cerrillo, Bradley Wiggins, Jacob Powell, Dalton Scruton, and Ryan Nosko. The students have been working after school with technology education teacher Greg Bailey for several weeks to build their rockets. Each rocket and its motor costs at least $100. The six teams representing Hannibal were able to create their projects from a generous donation of more than $600 from Lockheed Martin, Syracuse University and the MOST. This is the third year Hannibal has participated in the Rocket Challenge, and also their best year yet. Hannibal was amongst the 58 competing teams. 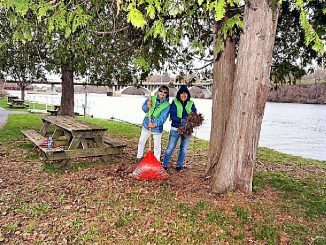 “Our highest ranking team scored 29 out of 30 points,” said Bailey. Team NASA Jr. made up of Dalton Scruton, Ryan Nosko, Noah Kuc, Zachary Shortslef, Alyssa Emmons and Alivia Diefenbacher, came in ninth place with the score of 29. The first place team had a score of 33 points – only four points away – which shows how tough the competition was. For now the teams are “looking forward to next year,” Bailey noted, when they’ll compete in the bridge building contest. Some of the students have even started practicing their designs already.